Another year has come to an end, while another year has just begun. 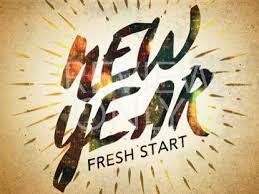 It’s a blank slate and fresh start at the beginning of every new year. Researchers suggest at least sixty percent of the population make some sort of New Year’s resolutions. On the opposite side, only nine percent are successful in achieving them. While making resolutions is a time-honored tradition whether they are achieved or not, hoping for a better year ahead doesn’t have to be just wishful thinking. Finances and saving money are always one of the top five resolutions every year. Financial goals are also always in the top five for most commonly not achieved. Over fifty percent of goal setting people lose focus on their resolutions before January 31st. The number one goal year over year for most goal setters is diet and exercise. New year, new you? Maybe…maybe not, but setting a few specific goals is entirely possible and it’s never too early to start working on annual taxes. With the major changes to individual taxes and revised withholding tables in early 2018, significant changes have likely been made to tax opportunities. First things first – the W-2. What is it? Where does it come from? What do you do with it? What is a W-2? A W-2 form is an Internal Revenue Service tax form used to report annual wages paid to employees and the amount of taxes withheld from his or her paycheck. It is a legal record of what an employee earned and how much tax on annual earnings has already been paid to the IRS. Where does it come from? Employers must complete a Form W-2 for all employees (not independent contractors or self-employed) to whom a salary or wage was paid as part of the employment agreement. The IRS also requires employers to report the amount of federal, state, and other taxes such as social security or Medicare tax withheld from employee paychecks. Employers are required to send employees their personal W-2 not later than January 31st, following the end of the previous tax year. What do you do with it? 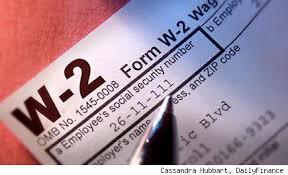 As an employee, the information on a W-2 is crucial and extremely important when preparing annual tax returns. Throughout the year, employers withhold amounts from employee paychecks for federal income taxes and remit them to the IRS. Since the IRS requires everyone to make periodic tax payments throughout the year, employers take care of this via payroll deductions. When it’s time to prepare your federal tax return and calculate annual taxes, the withholding amount your employer already paid will be subtracted from your tax bill. Most noteworthy, the IRS also receives a copy of your W-2 from your employer and already knows whether an employee owes taxes. Whether New Year’s resolutions are made or broken, one thing is for sure… right here, right now, the new year has begun. An approach to a new beginning gives purpose to first steps and the momentum to keep moving forward. Catch that moment!